To help, please consider donating used, functioning laptops and drop off at Santa Rita Elementary School office (700 Los Altos Avenue, Los Altos) from now until May 31st, 2019 Monday to Friday from 8 to 4 pm. Please disable any password prior to donating. All donations are tax-deductible. Tax receipt will be provided upon request (e-mail contact@eqoptech.org). Your tax deductible donation allows us to connect people and create partnerships around the communities. EqOpTech, a Los Altos 501(c)(3) nonprofit, promotes and enables free, equal access to technology for computer learning and STEM education for students in need. We are seeking functioning laptops (Windows & Mac) with appropriate power adapters on an ongoing basis. Each laptop will be refurbished to its full functionality with operating system and removal of all personal data prior to redeployment. All donated laptops will be refurbished and redeployed to at risk students in Los Altos, Mountain View, San Jose and East Palo Alto. To donate, please drop off at Santa Rita Elementary School office (700 Los Altos Avenue, Los Altos) Monday to Friday from 8 to 4 pm by May 31, 2019. Please disable any password prior to donating. All donations are tax-deductible. Tax receipt will be provided upon request (e-mail contact@eqoptech.org) and will be e-mailed or mailed directly from EqOpTech Inc. Your tax deductible donation allows us to connect people and create partnerships around the communities. EqOpTech Inc. is an IRS-designated tax exempt 501(c)(3) nonprofit organization that enables free, equal opportunity learning via access to technology in under-served community. 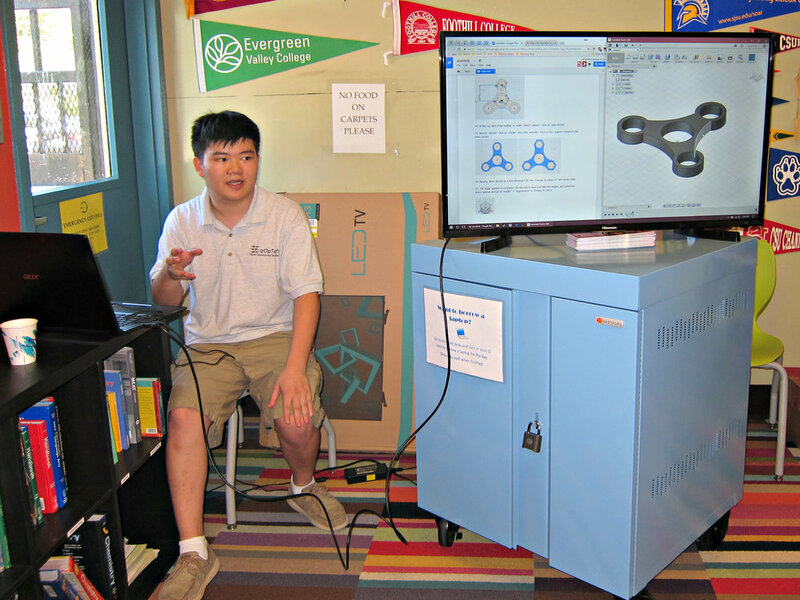 EqOpTech provides easy access to computer hardware, software, and mentor support in STEM education. For more information, visit www.EqOpTech.org. Follow EqOpTech on Facebook, LinkedIn, Twitter and YouTube.